Right at this moment, I feel useless! 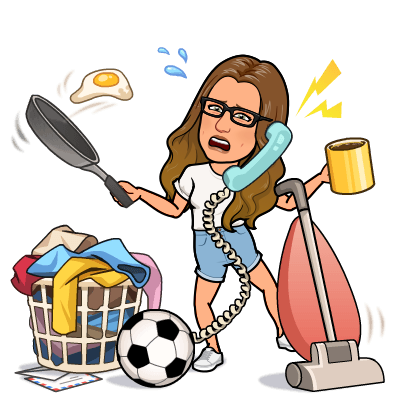 I feel like there’s so many jobs that need doing and I don’t know whether it’s because of my lack of organisational skills or its just this time of year. I’ve got a house to clean, presents to wrap and I know I’m going to have to nip out at some point and pick up those forgotten bits, plus so many more jobs! I was relying on tomorrow, kids were going to their dad’s, it’s a great day for completing these jobs. That’s until he sent me a message informing me that he can’t have them because his girlfriends parents are coming! Now I might be being unreasonable here but I thought as a parent you adjust life events around your children, not the other way round! I honestly don’t understand why he can’t still have them! It angered me that much I didn’t dare reply as I knew I’d put something I’d later regret. The kids still don’t know but for them, it’s a good thing, they’ll be happy they’re not going. So that’s tomorrow out of the window but it’s fine, we’ll make it fun, we’ll get Christmas songs blasting out, which reminds me, I did introduce my kids to a new Christmas song yesterday! Probably not my finest mum moment but they did love it after the initial shock! Mr Hanky, the Christmas poo!! If you don’t know it, YouTube it! Although you probably won’t know whether to thank me or not!! Anyway, back on to subject (scrolls up to see what I was talking about) ahh yes, tomorrow! Christmas music blasting out and I’ll get the kids to help me, it’ll be fun! She says! In reality it’ll probably be me and my son doing the cleaning and my daughter sitting there crying because I’ve asked her to pick up a shoe! I’ll spend that much time trying to motive her, I’ll get barely anything done, panic and then scream at her like a maniac on the loose! This is how it usually goes! We do have the very odd time where she gets into it and is helpful and thoughtful and I’m mega proud of her. When those moments do happen they are that rare that I end up making some stupid, sarcastic comment which I know isn’t helpful but I just can’t stop myself! I’m working on it! I do make sure I tell her that I have noticed and I am extremely proud. We definitely always need to remember to tell our kids how proud we are. I always tell my children and every single time their faces light up, it’s a confidence and self esteem boost, it’s always a feel good moment when somebody acknowledges something you have done and appreciates it, no matter how small the task may be. We all need it but children mostly. It wire’s their brains so they grow up wanting to do good. It’s time for me to disappear and get some wrapping done. I’ve been rather busy, my little mind gets too flustered when I’ve got too much to think about so I’ve gave my blog a break for a bit. But I’m back now so time for an update! This might seem a bit all over the place but welcome to my brain! My boy is back on medication for now as he’s been struggling socially and emotionally but he’s now back to being happy again! Yay! Christmas food shop came yesterday! Why did I order the fresh food over a week early? I don’t know either! Vegetables and potatoes will be prepped and frozen by tomorrow! It seems like a lot of effort but I’m sure the future me will be very thankful! It’s Christmas jumper day and Christmas meal day at my sons school today, I was dreading both and I know he also was. He always worries about wearing the wrong thing and I get that, I’ve been there! He said he was just going to wear normal clothes and I would of let him. That was until I went shopping and spotted an awesome Christmas top of Santa doing a fortnight dance move! He loved it! As it was only a short sleeved top I pulled all of his Christmas jumpers out and found an elf one that said #elfie! He was more than happy to wear it and walked down the street with his coat undone, proud of his jumper! Success! Next problem was Christmas Dinner! He won’t eat school dinners but I also knew that when he sees everyone enjoying themselves he’ll feel left out, what can I do to fix this problem? I slow cooked a pork joint overnight, made some stuffing this morning and he went to school with a pork and stuffing roll, (cob where I come from!) some carrot sticks, cherries, (still got to get his 5 a day in!) a mince pie and obviously I couldn’t not put a Christmas cracker in there for him! He was delighted! Mission completed! This year we have done away with advent calanders and instead I got little Christmas tree stockings that I put a treat in each evening for the morning. They love it and it works out so much cheaper. I think I will sign out for now so I can get something useful done! Tomorrow I’ll be giving an update on how the Christmas jumper day went and whether I got my act together and sorted those veggies out! I want progression but I’ve done all I can and now I have to rely on people doing what they should be doing. On Friday I went to my GP and spoke to her about my concerns and what I wanted, I want a diagnosis, if I’m correct in thinking that I am autistic. Why do I want a diagnosis at 35 years old? Because I want answers, I want to know why I am like I am and why I’ve struggled the whole of my life with things people don’t appear to struggle with. She was fantastic, I expected a form to fill out to check if I was depressed, I know I’m not and I’m happy that she did not give me that form! What she did do was listen, ask questions and write the answers down. GP’s are unable to diagnose autism or anything alike but she can take down as much information as possible to pass on to the relevant person and then that’s a head start. I was waiting a while to be seen and in that time I managed to count every single flu flag hanging up, read every single poster surrounding me, realise a diabetes poster was 2 years old and I didn’t stop fidgeting once. I didn’t realise I was doing any of this until I looked around to see everybody else sitting perfectly still and when I looked down, my foot was in constant motion. I then realised that counting flags, examining posters and not sitting still wasn’t quite normal! One poster that catches your eye, fine, every single poster without even realising I was doing it is not! And then I started looking back and realised that I do this everywhere and wherever I go and then I realised when I was in last, I was constantly watched by people who clearly found it fascinating to see a grown woman taking in so much detail of everything around. A door opened, I knew I was next because I had been studying the people coming and going and calculating who I was going to be after. My calculations don’t make any logical sense but they do in my head. There was a beep and I instantly stood up knowing it was my name, I looked up and I was correct. I managed to focus and say half of what I wanted to with confidence. The GP eventually brought it to a close and told me she’d look into the best approach for me. She was lovely and took me very seriously. On the way out I took one last look at the out of date diabetes poster, smiled to myself thinking the next time I go in, that poster will still be there. Let’s hope I’m not waiting too long for the next step – if they allow me to move to the next step. We all have our down days and today I’m feeling that! I was watching a ‘comical’ video of a woman who couldn’t get it together. It was supposed to be comical but all I could see is me! I’m the most disorganised mum you can imagine! I hate it, I don’t want to be this way but I am, I also know it’s a sign of ADHD and for a while now I’ve suspected I may have ADHD and autism. As a child the signs of autism screamed at you but unfortunately I was born in the 80’s, I could talk, (thanks to speech therapy) I could walk (eventually) so nothing was done. Now, I’d of had an autistic label stuck on back in the 1st appointment because it was that obvious. I always wondered why I was different but then I could see similarities in my son apart from we dealt with them in different ways. I would be non verbal and cry, he would lash out in frustration. I’m guessing that would be the difference between a girl and a boy. To this very day I find life incredibly difficult, whether that’s work, domestic, social, emotionally or any other, it feels like a challenge. I do love working but it’s fitting everything in around it that I struggle with. I do kickboxing and yet I struggle so much with the coordination I consider quitting but the only reason why I took it up in the first place is to get my son involved and because I’m there with him, he finds it easier to cope. That’s the only reason why I haven’t quit. My son has to get his special needs from somewhere and I think it’s about time I started on the path to figure out if it’s me or not. It would explain so much, why I struggled socially, why I struggle to fit in anywhere, why I’m so disorganised, why I struggled in school, why I can’t focus on anything but when I am focused I’m almost obsessed, why I’ve always been extra emotional and simply why I’ve always felt different to everybody else. Today I’m going to make that appointment which will hopefully get me on the right path. When I started blogging I thought if I’m going to do this I’m going to make sure it’s always honest and real. Unfortunately sometimes that may mean I might bring up some controversial subjects but it’s ok to disagree, if everybody agreed on everything, life would get a little bit boring! Yes, there you go I said it! This is always going to be a subject that people disagree on. When my son was first diagnosed with ADHD the pediatrician recommended that I tried medication out to get the ADHD under control. As any parent would I asked questions, did any bit of research I could but that confused me more as you’d find something that was pro medication and then you’d look at something else to find it against medication. It makes the whole process very confusing and to top it off, you ask the pediatrician for advice and she looks at you like you’re stressing over nothing. I had his school telling me that I didn’t have any other options to because the ADHD was so out of control. That was wrong of them. It is not up to the school when you’re are making the decision to put drugs into your child or not. If he was ill and the drugs were there to make him better than fair enough but he’s got ADHD! It’s not a sickness. I have to try and figure out if this is what’s best for him or not. I came to the decision that there was only one way to find out – give him the medication. The first day went great, he actually sat and watched a whole TV programme without getting distracted or bored. That was new! When the medication finally left his system, all hell broke loose. I had to send my daughter to her room because I feared for her safety. I instinctively knew what to do, let him go on the rampage whilst keeping him away from my daughter until he runs out of steam. It worked and then he dropped to the floor crying whilst still trying to fight. I laid on the floor with him and put my arms around him holding him tight. He tried to fight me off but eventually gave up and held on to me as tightly as he could. I could feel all that anger and frustration leave his body and mind. It was one of the most heartbreaking moments I have had with him and it was because I gave him that tiny little pill called Medikinet. I said I would never give him one of those again. I would rather put the extra effort in all day then have an amazing easy day with him and have that when it wears off. The following day I did some more research and realised that perhaps I was giving up too easily. Maybe his brain just had to get used it so I gave it another chance whilst this time prepared for the worse. I thought this could work! Perfect for school! He was on it for the whole year and did amazing, his grades went from just below average to almost above average, he was making new friends, he was much more manageable. He was doing amazing! I was so relieved that first day didn’t scare me off! Then it all changed, he started refusing to take the medication, we had discussions about why he needs to take it but he still really didn’t want to. That was it, I had a chat with the school and they discouraged me from taking him off of the medication. I then spoke to the pediatrician and she said, his problems with focusing again will start so she also discouraged me from taking him off of the medication. I went home and thought about it. Just because the issues are there doesn’t mean they always have to be resolved with medication. Sometimes I do believe it’s absolutely necessary but not always. He will just need to have more support and the school should give him that rather then relying on medication. I took him off the medication. I want my boy to do well in school but I’d rather him be an average grade student and be happy then an above average grade student feeling miserable. I didn’t tell the school because I thought, everytime he slips up, they’re going to blame it on the fact he’s not on medication. To this day they still think he’s on it and I’m more than happy with that because they are working with the real child and he’s learning how to fight and use his ADHD to his advantage. I’m still open to giving him the medication if I think he’s struggling too much and it’s causing him to be unhappy or even if he comes to me and asks me for it. I’ve read the pros and cons of medication. If it was up to me, my son would still be on it because it helped him so much but he gave it a chance and agreed that it helped him but it made him unhappy which is not what my aim is. Whatever your view on medication, remember most parents are doing their best for their child. They’re not looking for an easy way out! That’s not what it’s about. Medication is there to help our children focus and find life that little bit easier. Many parents already feel the guilt of medicating their child but most of the time, they feel like they’ve gone through every other option. For my boy, I do believe the meds did their job, we wanted to get the ADHD under control and they did just that. So although, we can get by without the medication now I’m not sure we would be where we are today without them. Yesterday I was getting on with my day when my phone rang, I looked down at my phone and my heart starts racing. It was my sons school. Anybody with a special needs child will understand that feeling. I mean, I get it, nobody wants a phone call from their child’s school, every thought goes through your head, mainly are they injured and are they sick. With a special needs child it’s very different. Any parent of a superhero child will tell you they wish only those 2 things went through their head when they get that call! Every possible thought goes through my head from has he been sick to is he having a meltdown and unable to bring himself out of it. These meltdowns can be as calm as him locking himself in the toilets to get himself away from everybody to a full blown meltdown of him trashing rooms and attacking anybody that dare comes near. I’m very aware though that those full blown meltdowns can come back at any point. I know I sounded calm but inside my heart is thumping with the dread of what her response is going to be. I was panicking and freaking out over forms?! Now I can relax and I’ll gladly feel stupid and to say I was feeling a little guilty is an understatement! I should believe in him far more because my goodness he has earnt it! I class myself as lucky, I have a 9 year old with special needs who has the determination of a warrior. I don’t give him anywhere near enough credit as he deserves. I should answer the phone thinking, have I forgot to give him his lunch/water bottle? Instead I think what’s he done wrong/what’s happend/is he struggling to cope again? I went to pick him up from school and his teacher said he’s had a fantastic day! Well of course he has! He’s my little warrior who is determined to succeed no matter what stands in his way and when life knocks him down, he gets right back up and continues fighting. I think it’s time to stop panicking when the phone rings.